Have you ever gone on the adventure of going off book while following a baking recipe, and immediately regretting it? You know the results are almost always disastrous. Because the chemistry of baking doesn’t lend itself as naturally to experimentation as cooking does. So, when the professional bakers out there pick out one beautifully risen cake after another from an oven, know that those hands have seen many failures. Here’s a story of one such magic maker. 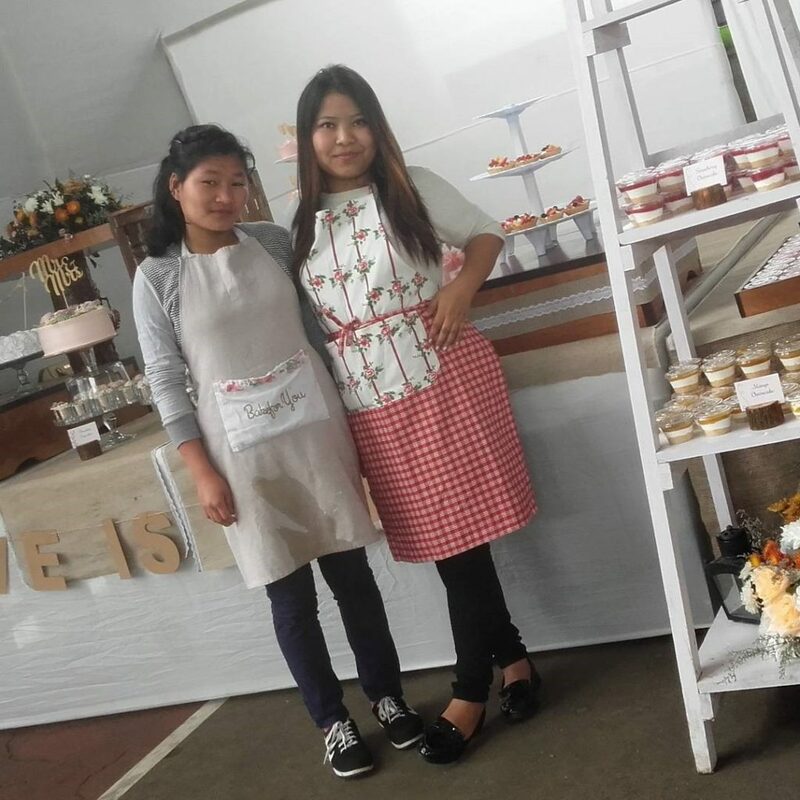 Meet Abigail Sitlhou, 25, Owner & Baker of Bakeforyou – a home-based bakery in Kohima, Nagaland. I am a witty & fun loving person, who can laugh at the silliest of stuff when I’m around my kind of people. My hobbies are crafting and gardening. I am now a full-time baker and very satisfied with the profession I have chosen for myself. I am lucky that I have very supportive parents. 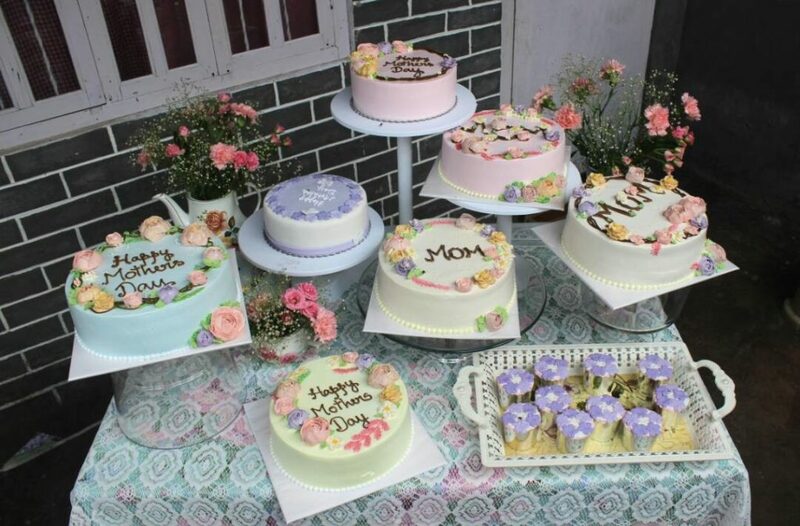 Specially made cakes for Mother’s Day by Bakeforyou. I had always been fascinated with the art of cooking & baking . In the mid of 2012, I decided to attend a short-term course on basic baking and dessert making from Exotic School of Cooking in Dimapur. That’s where my interest for baking got reinforced even more. 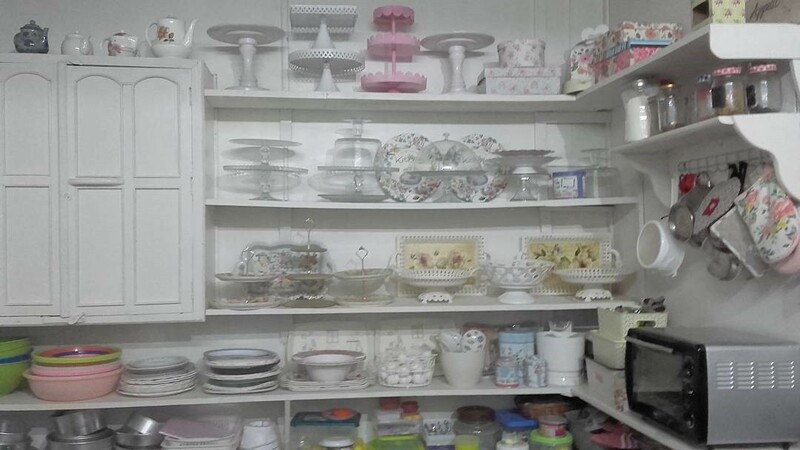 So that year, I practiced to get the basics (of baking) right, and also got the necessary equipments. Post that, I watched a lot of YouTube videos for another of training (with lots of trials and errors) and here I am! What has been the most challenging part – in your journey as a baker? By 2014, I started taking in small orders from family and friends. With their constant encouragement and feedbacks, I put in a lot of practice to satisfy each of my customers – though they were only a handful at that time. 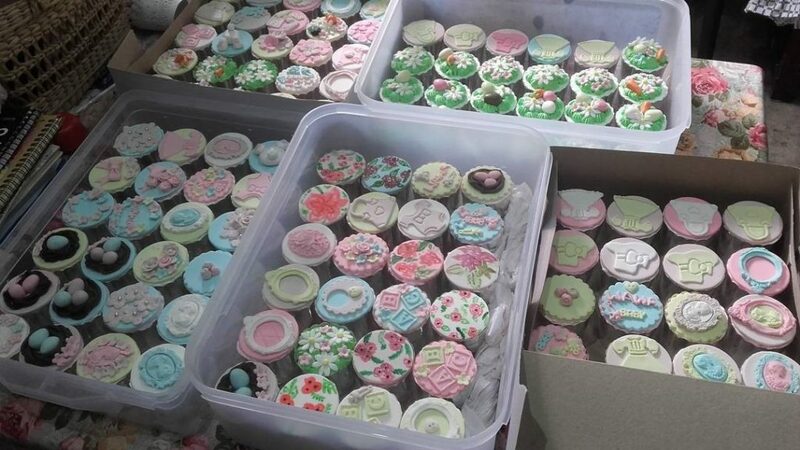 Slowly the demand kept increasing and I started to get orders for decorative cakes which was the most challenging phase of my profession as a baker. I kept reminding myself that my profession was my choice, so I had to accept all the challenges that came with it and prove to myself that I could do it.The demand for fondant cakes kept increasing and for someone like me who never attended a professional course on advanced decorating, my confidence level was very low; but I tried really, really hard with the help of the internet and finally on my way to perfecting the art. Abigail with Martha – her co-worker. 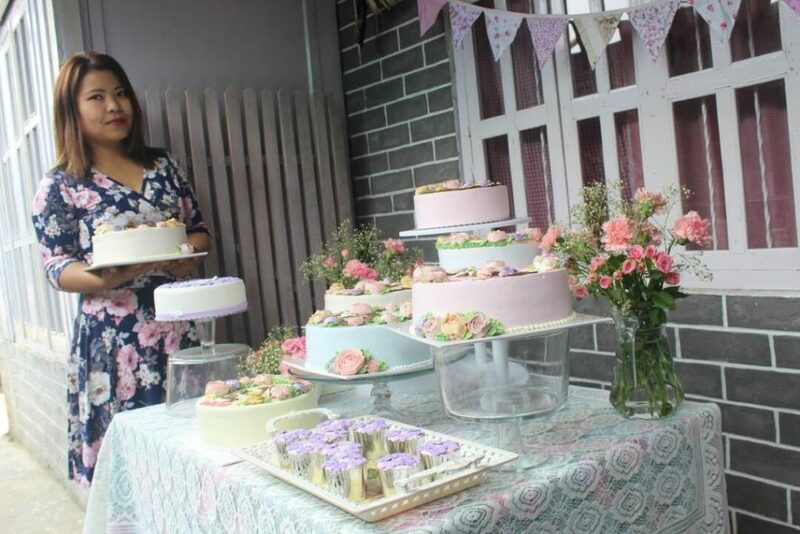 What has been the most fulfilling part of being a baker? I started from scratch and now I’m catering for big events where the demand is for thousands of people. I also do dessert table styling as per my clients’ demands. 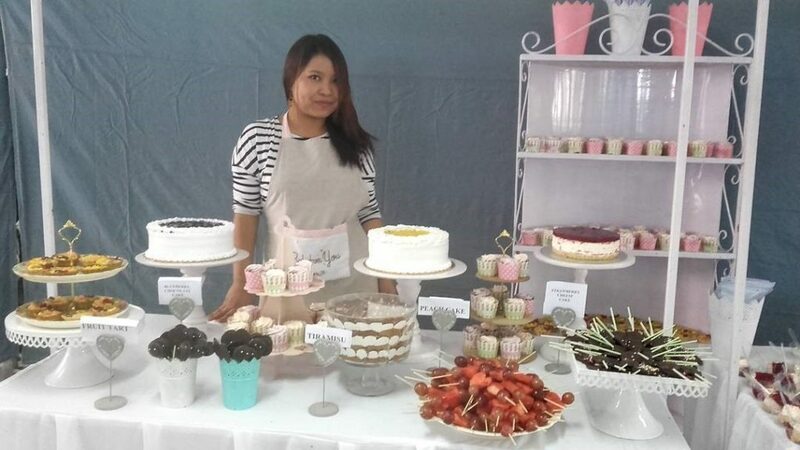 I also offer baking classes as a basic course during summer, and I’m happy to inform that I’ve trained over a hundred people from Kohima, Dimapur & Mokokchung from all age groups. Where can we purchase your baked goods from? Well I don’t have an outlet as of now, so anyone who would like to order can call me on my phone number on my social media accounts. They can also send a DM on Insta or Whatsapp to place an order. 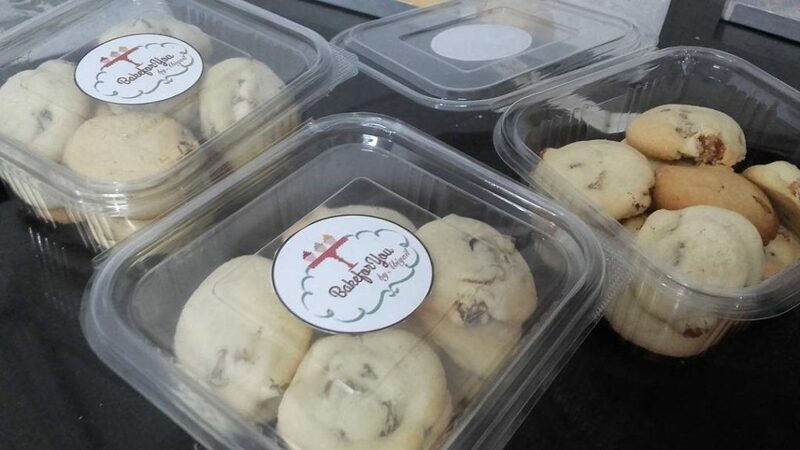 Follow Abigail on Instagram and Facebook to treat yourself to some delectable sweetness!